status, weather, plugins, tasker etc. Along with all these re-sizable elements available, you also have the ability to move them around as you like. You can even animate (move the element across any of the four primary directions) the content with custom speeds. And all this can be backed up into a single replica cartier file that you can restore into any device you switch to in the future. There’s a few more things to talk about but we’ll let you try the app and see it for yourself. 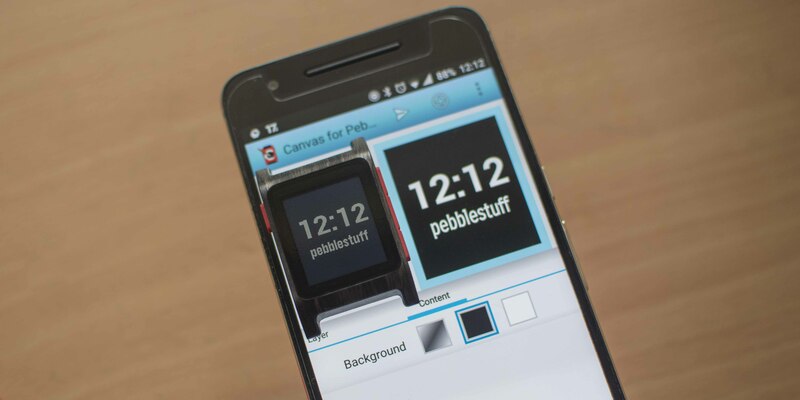 Install and open the ‘Canvas for Pebble’ app on your smartphone. Select ‘OK’ when it takes you to the Pebble app. We’ve seen websites that let you make your own watchfaces. They do serve their purpose very well but Canvas is definitely a lot more convenient and advanced. It allows lot more freedom while creating the watchafaces and can actually be pushed to your phone with a single tap of a button. Let’s just hope there’ll be an update for color displays of the Pebble Time series.. The skins featured on the Pebble 2 are from GadgetWraps. Whats the watch face in the third image (gif) on this page? It’s a sample wathcface on the Canvas app. Can I create watchfaces for the PTR?